A loyal dog is said to have died from a broken heart after she was abandoned at an airport by her owner. The distressed pet - named 'Travelling Cloud' by veterinarians who cared for her - wandered around for a month before finally being rescued by an animal shelter, but by then it was too late. After being dumped at the airport, the dog spent days walking through the terminal apparently looking for her owner, who was believed to have left on a flight. Witnesses say the animal eventually stopped looking and spent its last days at the airport laying in a corner of the terminal. Passengers and workers offered food, but she eventually stopped eating and didn't respond to treatment before she died. 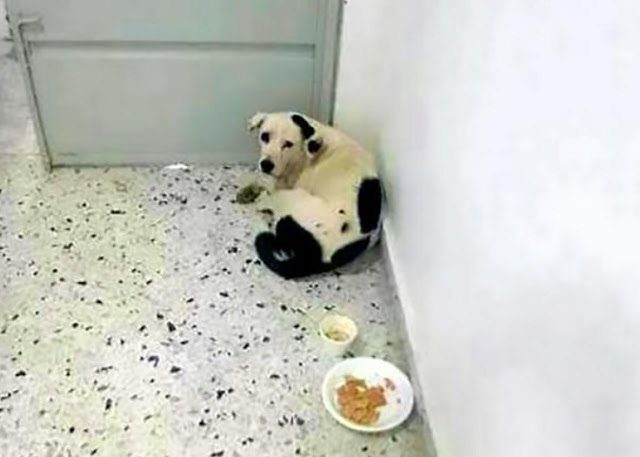 The heart-wrenching story of the devastated dog happened at Palonegro airport near Bucaramanga, Colombia. Vets who did a check on the dog after she died labelled the cause of her death as depression. Dr Alejandro Sotomonte told Noticias RCN that the dog was no more than two years old, had a normal weight and did not show any signs of a serious illness. It was said that the dog had been seen walking in a hurry and sniffing people at the airport as if she was looking for something or someone. Dr Sotomonte said: "It is presumed that she had an owner and a home and that they abandoned her because the dog never left the airport." The dog - called 'Nube Viajera', which translates to 'Travelling Cloud' - did not have a collar and did not appear to be a stray. Vets said the malnourished dog eventually gave up looking for its owner and barely moved from a corner of the terminal where it would lay on the floor. 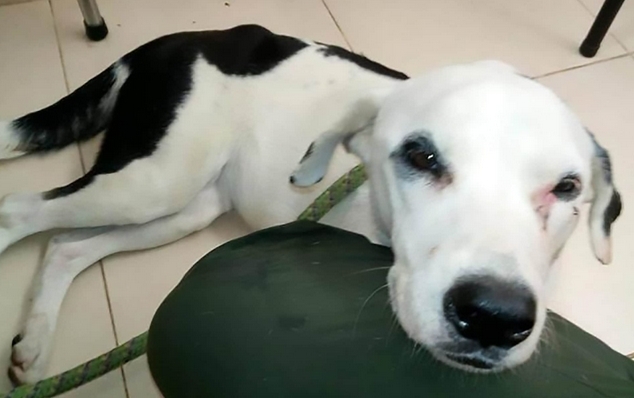 In her final days, she didn't bother to look for food due to her 'broken heart' - causing her condition to deteriorate - and was rescued when someone finally alerted a local animal rescue group, it was reported. By that point the dog was so weak she could barely stand. 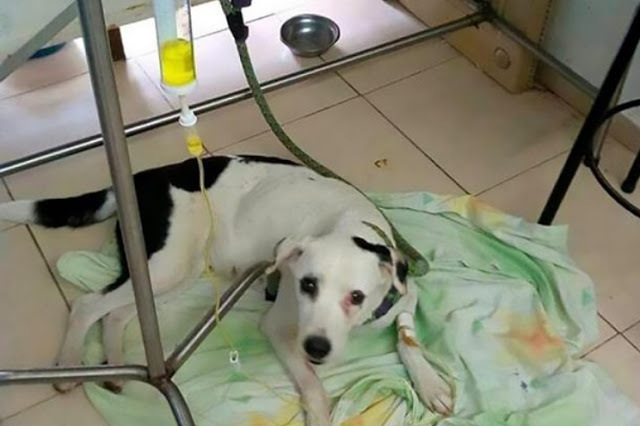 Dr Sotomonte Nino said: "The dog's health deteriorated in a matter of 48 hours, even though we gave her food and medicine via intravenous injection. "She fell into sadness and depression and did not survive."